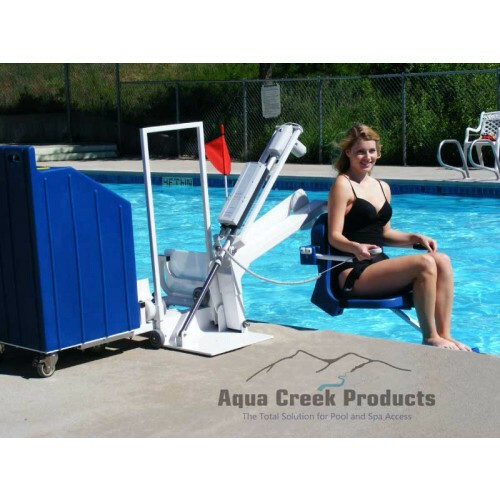 The Portable Patriot Lift is a great portable choice for facility and pool owners. 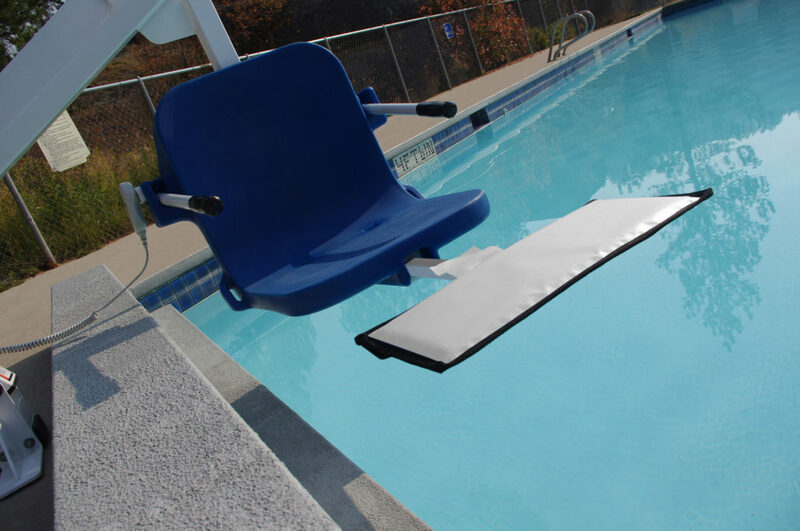 This model is counter-weighted using sand, and is fully ADA compliant when secured to the pool deck with the 'Fixing Kit". 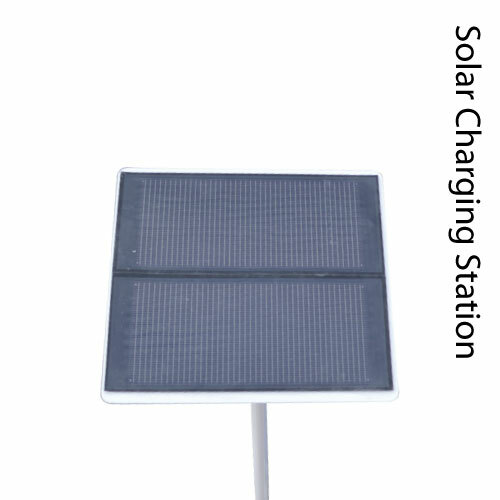 The new 2013 AT design comes with a smaller base, while additional set-back range allows to accommodate more gutter variations. The Patriot Lift has a specifically designed seat allowing for easy lateral transfer from most wheelchairs, giving full freedom of access to the individuals. 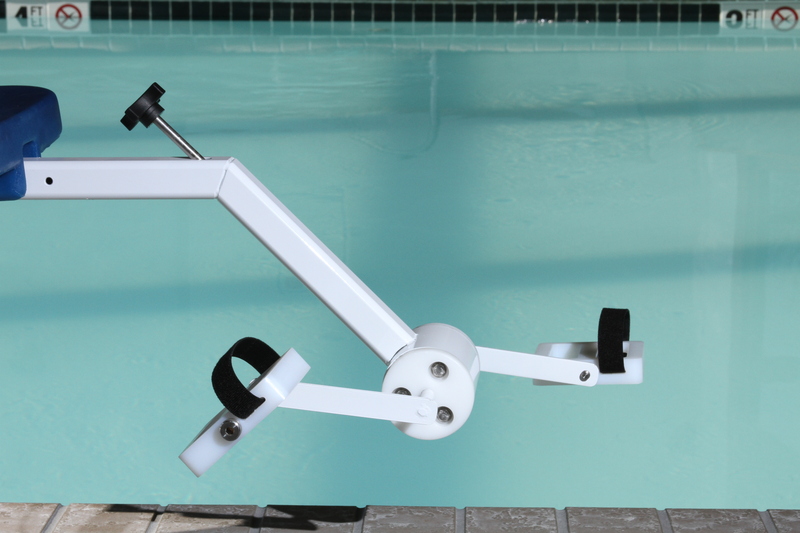 This model is designed to handle up to 450lbs, and fits most pool configurations for water drafts up to 6" deep. 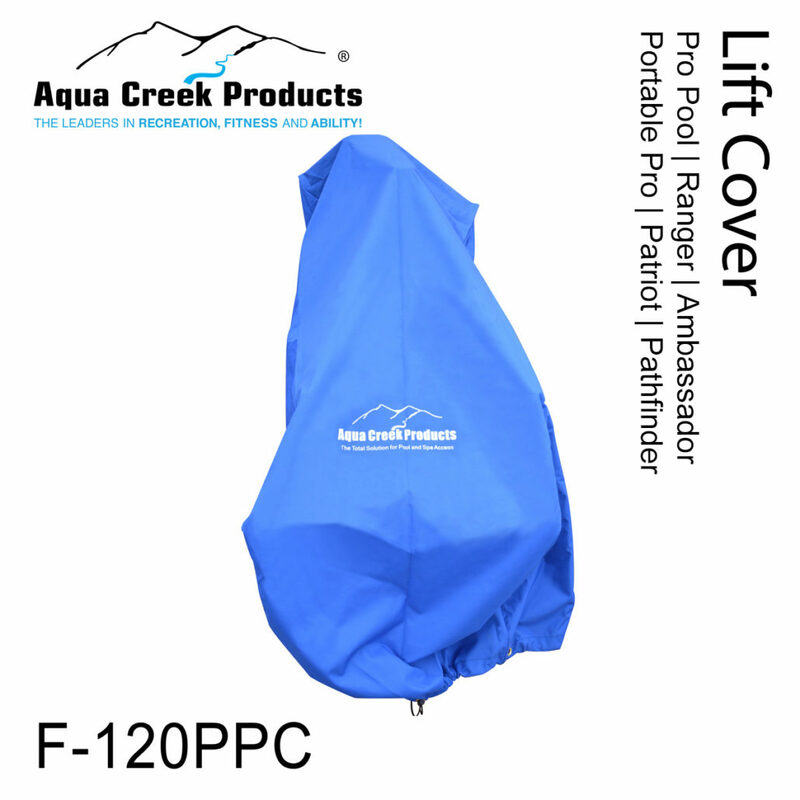 The lift frame is made from durable Stainless Steel and powder-coated for years of service. 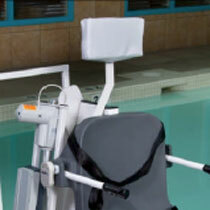 Model F-12PPL-HD-AT1 does not include sand, and is easier to ship and set up. Model F-12PPL-HD-AT2 comes with concrete counter-weights on a separate pallet. 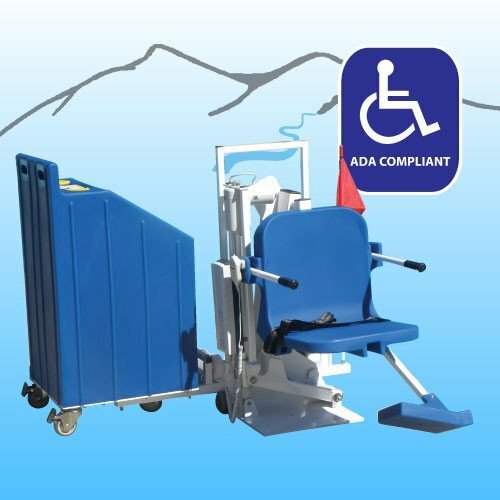 Both models are fully ADA compliant. 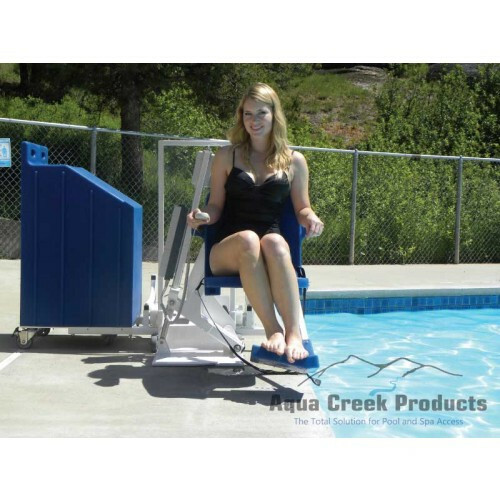 Fully ADA compliant with the included deck "Fixing Kit"